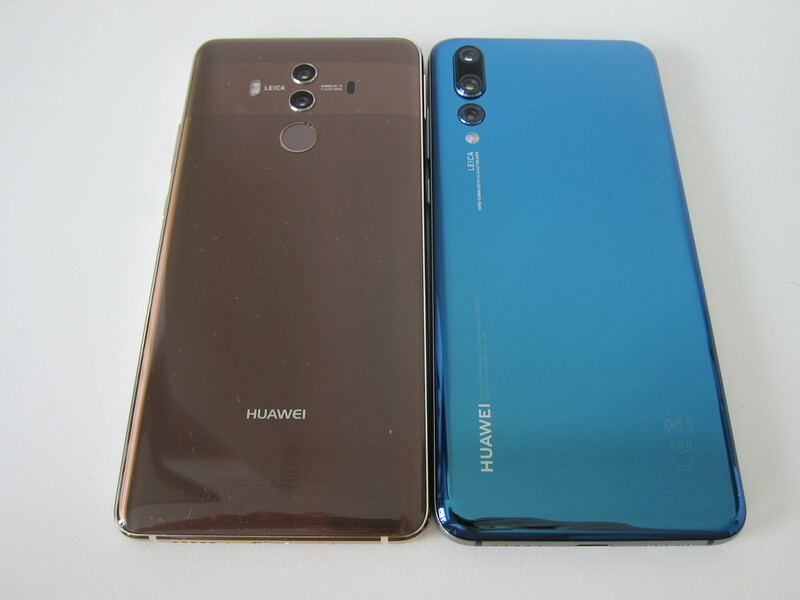 There are two variants to the Huawei P20 series. The more popular P20 Pro and the P20. 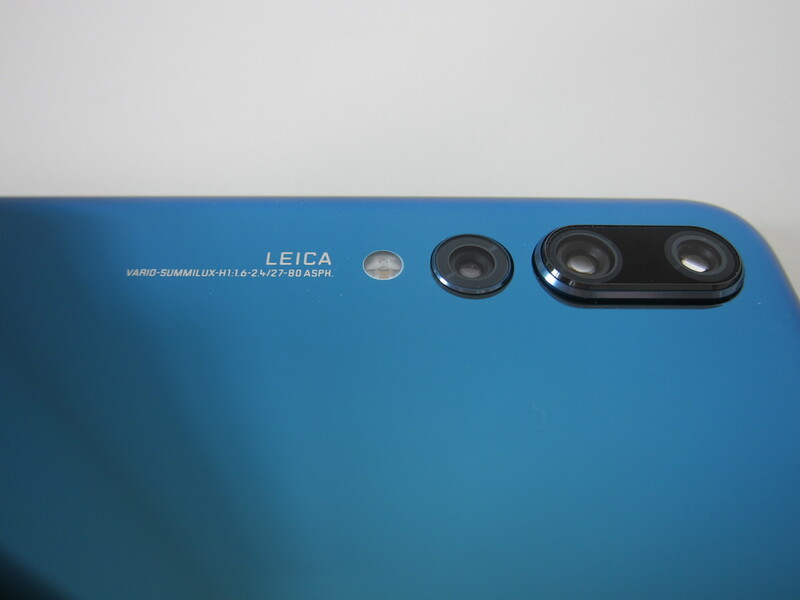 The most apparent difference between them is the P20 Pro has triple Leica camera while the P20 has dual Leica camera. IP67 waterproofing on the P20 Pro vs. IP53 on the P20. 6.1″ OLED on the P20 Pro vs. 5.8″ LCD on the P20. 6GB of RAM on the P20 Pro vs. 4GB of RAM on the P20. 4,000mAh battery on the P20 Pro vs. 3,400mAh on the P20. Under the hood of the P20 series features the Kirin 970 with dedicated Neuronal Processing Unit (NPU). The Kirin 970 is an octa-core CPU that features four Cortex A73 processors running at 2.36GHz, four Cortex A53 processors running at 1.8GHz and one i7 coprocessor. Both P20 Pro and P20 runs Android 8.1 with EMUI 8.1 and comes with 128GB internal storage with no external storage. It shouldn’t matter as 128GB should be more than enough for most users. Singapore is one of the first few countries to launch the P20 series. Both the P20 Pro and P20 are available in Singapore since 7th April 2018. Three colors are available for each model. For the P20 Pro, it retails for S$1,148, and it comes in Black, Midnight Blue, and Twilight (available since 21st April 2018). For the P20, it retails for S$898, and it comes in Black, Midnight Blue, and Pink Gold. 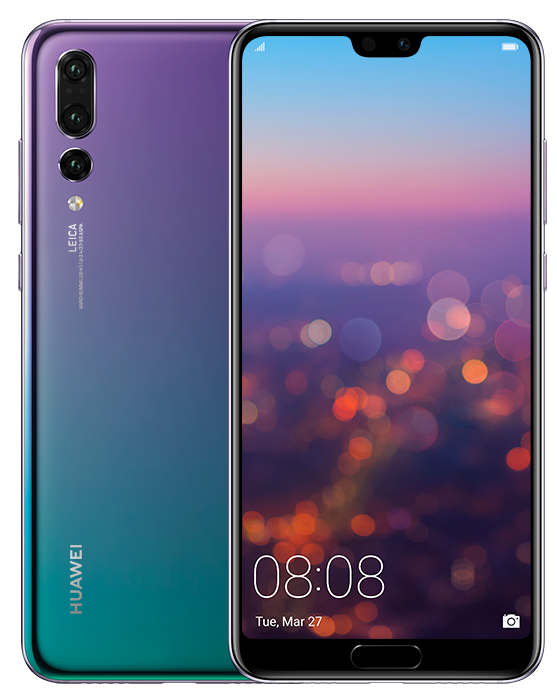 You can buy it from Huawei Concept Stores, local telcos (Singtel, M1 and StarHub), online via Lazada.sg and from all major electronics store like Denki, Courts, Harvey Norman, and Sprint Cass. 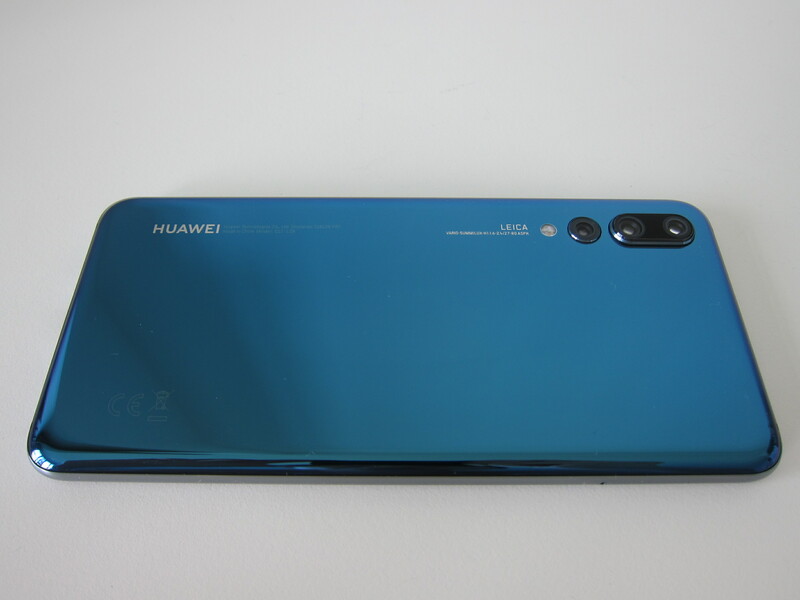 The unit I got from Huawei is the P20 Pro in Midnight Blue. 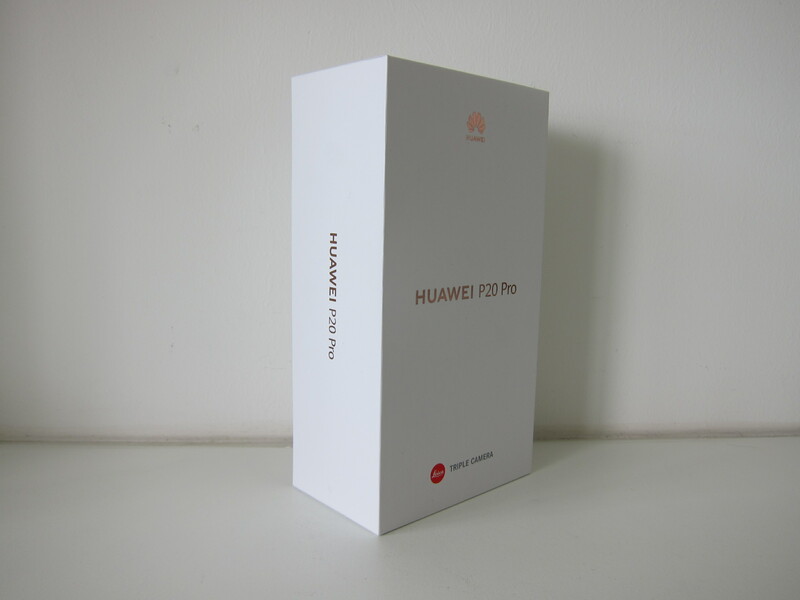 This is my first time unboxing a Huawei P series phone. It seems the box design of the P series lean towards a rectangular block as compared to the Mate series where it is a square box. 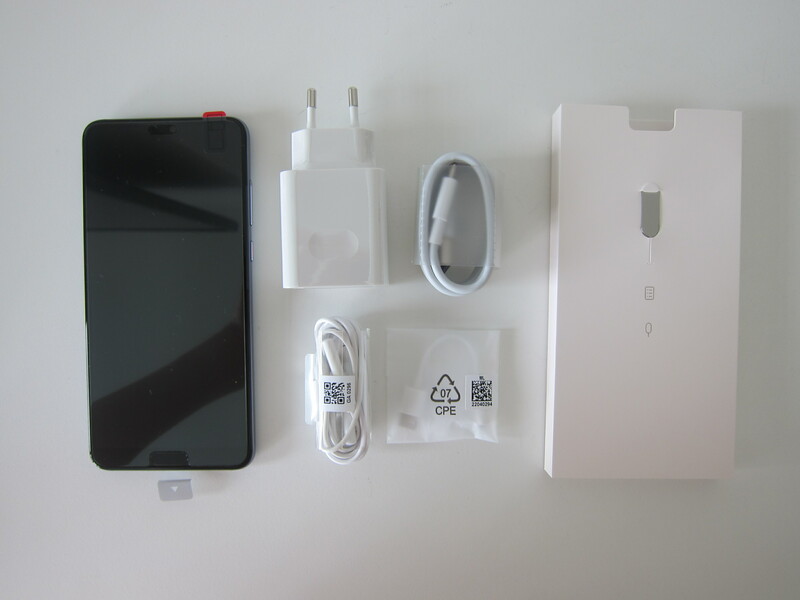 The box contents is similar to the Huawei Mate 10 Pro. Both boxes don’t include any booklets as both of them are review units. 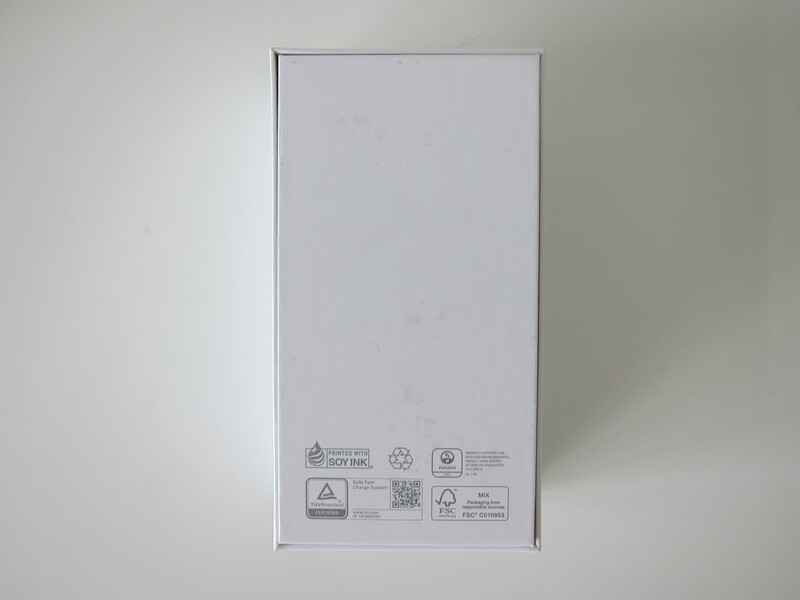 For the retail unit, the P20 Pro will come with a free clear TPU case inside the packaging. It is weird that the P20 Pro review unit doesn’t come with the free case as both Mate 9 and Mate 10 Pro review units come with the case. In my unboxing of the Huawei Mate 10 Pro, I was hoping that we will get a USB-C to USB-C cable for the next generation of Huawei flagship phones. 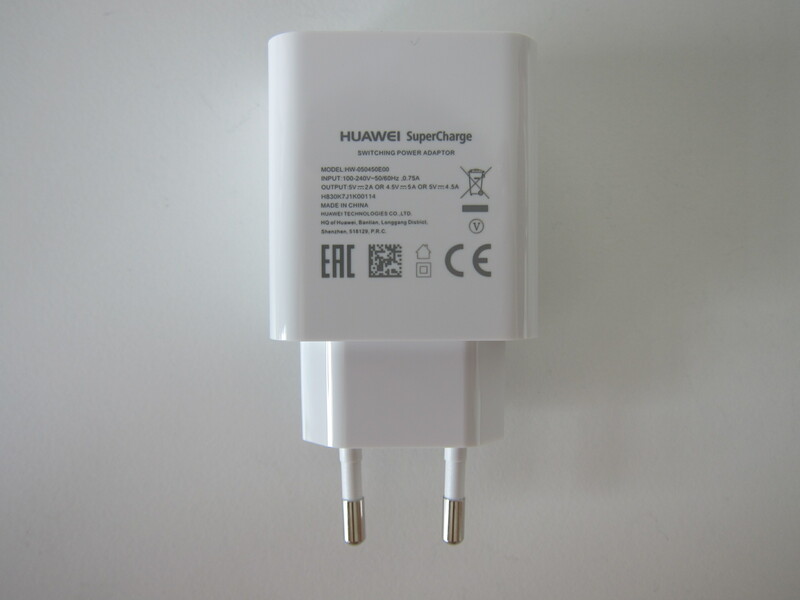 But it seems Huawei P20 Pro still includes a 5A USB-A to USB-C SuperCharge cable. 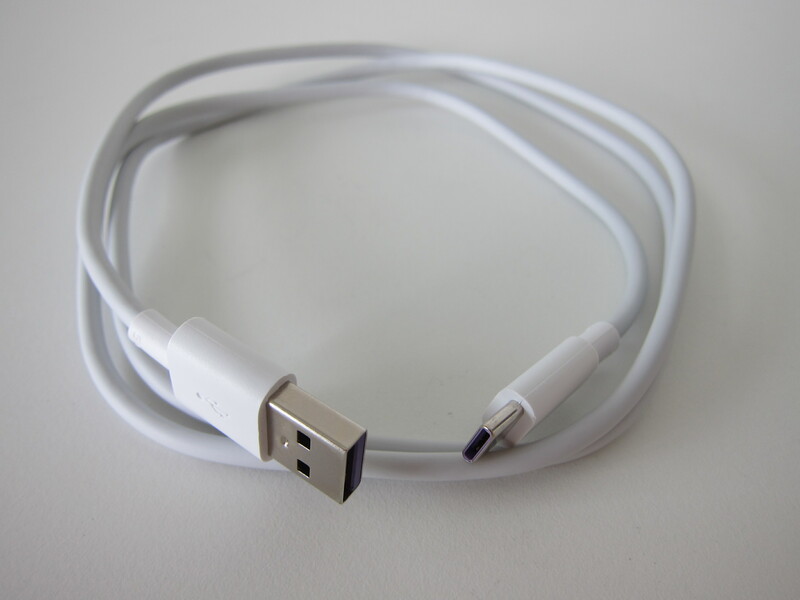 The USB-A and USB-C ends of the cable are color-coded purple to indicate it is a SuperCharge cable. I am guessing for the Mate 11 or Mate 20 (if it follows the P series number convention), we will still see a USB-A to USB-C cable. Probably, Huawei felt there is no need to move to a full USB-C solution given that there are no additional benefits. The material of the P20 Pro is similar to the Mate 10 Pro. 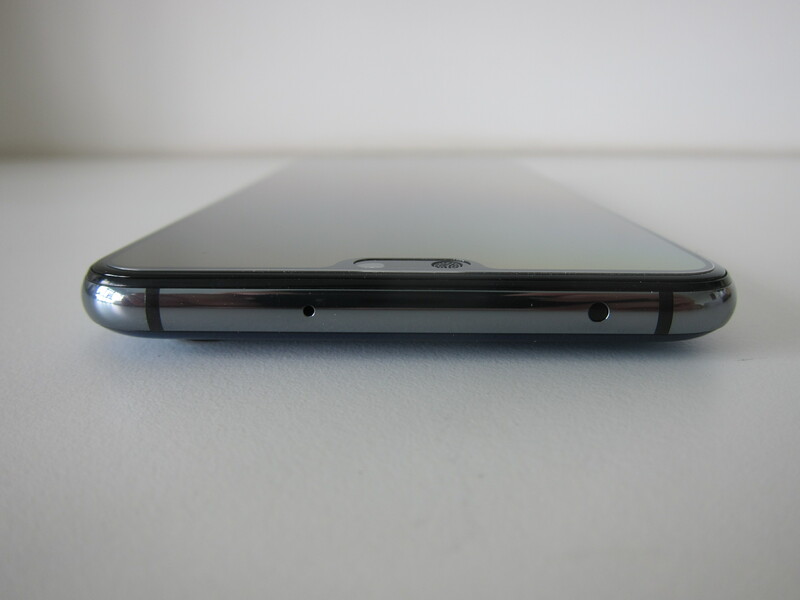 Aluminum unibody design with a 3D glass back. Similarly, the phone is IP67 rated. It means that the phone can be submerged in water up to one meter for 30 minutes. The screen is a 6.1″ OLED display running at a resolution of 2240 x 1080 with 408ppi. It is a tall phone as the display ratio is 18:9. 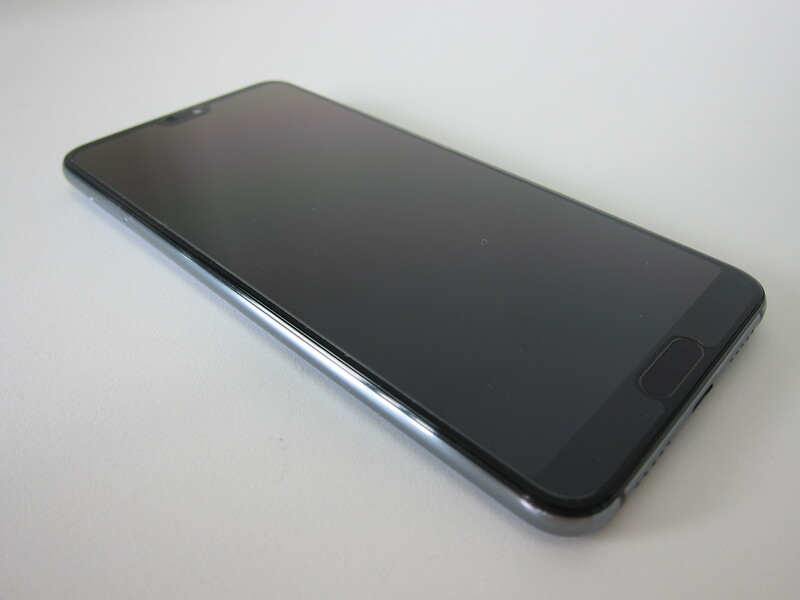 It is also a little bit larger (0.1″) than the Mate 10 Pro’s screen. Huawei called it the FullView Display as the screen to body ratio is about 92%. There is a notch at the top which you can choose to hide by making it display a black background under the settings. The notch area is where Huawei houses the front speaker and the front camera. 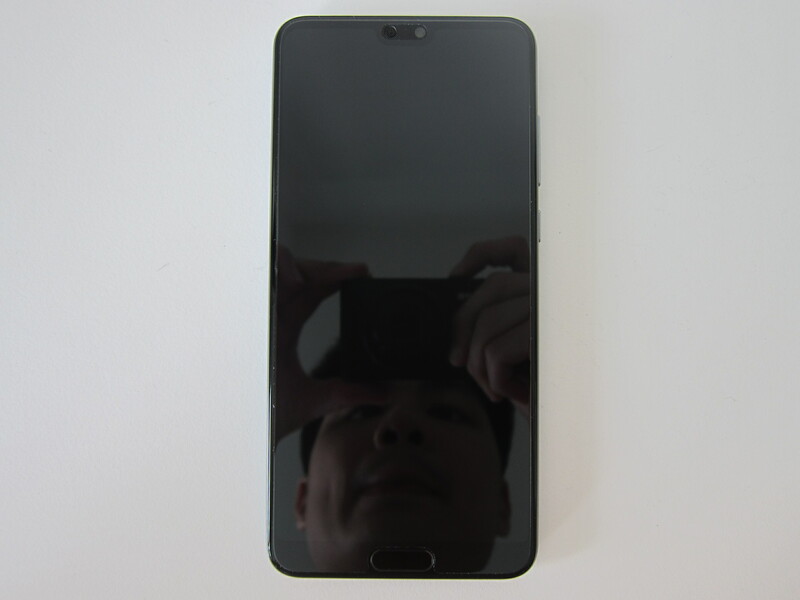 It is weird that Huawei spends so much effort for the notch at the top but left an ugly chin at the bottom to house the fingerprint sensor. I wish they move it to the back like how they did it on the Mate series. This way, they can make the phone genuinely close to bezel-less. When holding both phones in my hands, I felt that the P20 Pro is more solid than the Mate 10 Pro. The edges of the P20 Pro felt rounder than the Mate 10 Pro, and that makes it more comfortable to hold. 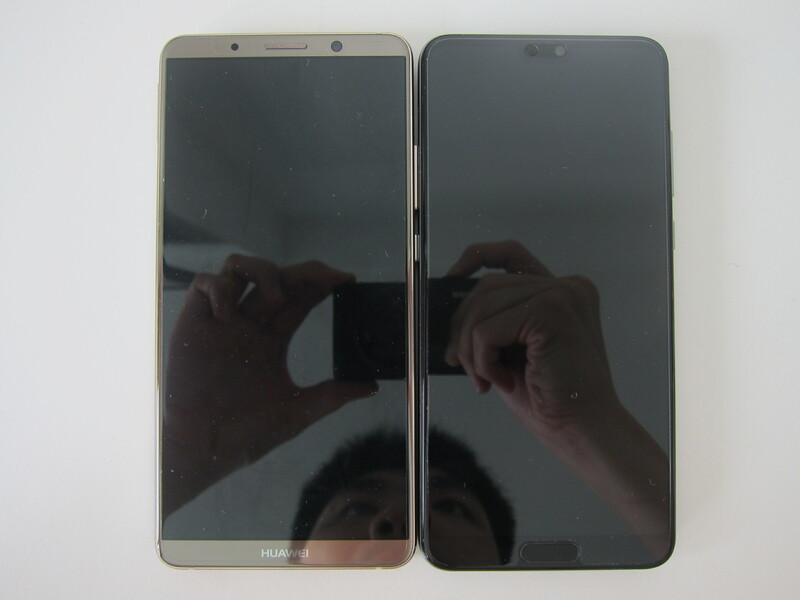 This is because Huawei makes the screen blends in better with the rounded edges. The flagship color of the P20 Pro is the Twilight. This exclusive color is achieved by applying several layers of Non-Conductive Vacuum Metalizing (NCVM) optical coatings underneath the glass back. So when lights hit the surface and reflect, it creates a gradual change in hue. But sadly, they do not have it available as a review unit for me. So I chose the next best which is Midnight Blue. Personally, I find the Black just normal looking. At the back of the phone is the primary differentiation. A triple Leica vertical camera setup. On top houses the 8MP telephoto camera with f/2.4 aperture. Below it is the 40MP RGB camera with f/1.8 aperture and at the bottom is the 20MP monochrome camera with f/1.6 aperture. Below all the cameras are the flash and color sensor. If you are not using a case with the P20 Pro and place the phone facing up on the table, it will wobble due to the camera bump. Like most phones in the market these days, the is no 3.5mm audio jack. On top of the phone houses the microphone on the left and an IR blaster on the right. 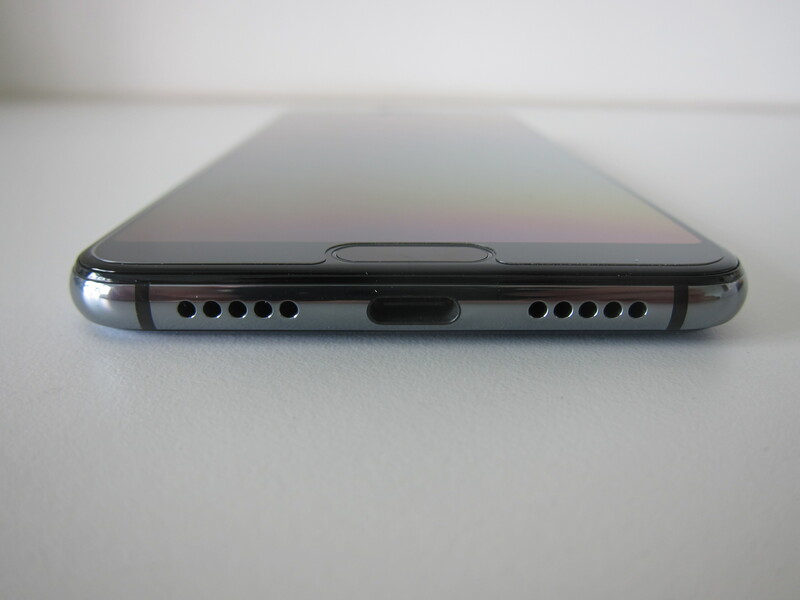 At the bottom, we have the USB-C port that supports Huawei’s SuperCharge technology. It allows you to go from 0% to 58% in 30 minutes. Of course, you need to be using the included SuperCharge charger and the 5A SuperCharge USB-A to USB-C cable. 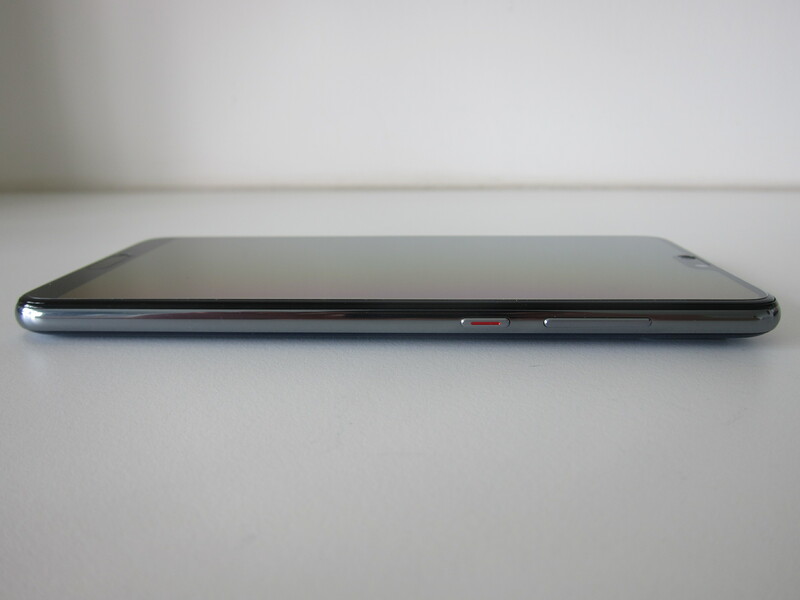 On the right of the phone are the standard volume up and down buttons and the power button. On the left of the phone houses the SIM tray. 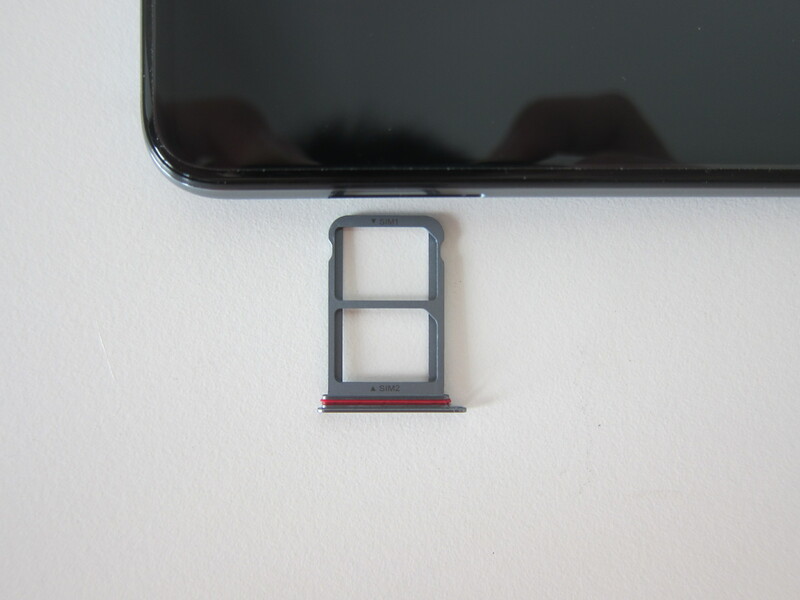 The P20 Pro is a dual nano-SIM phone. I will be replacing my Huawei Mate 10 Pro with this. Personally, I think there are too many texts and logos on the back of the phone. I wish it were cleaner, with just the word, Huawei and the Leica camera information. Similar to that on the Mate 10 Pro. 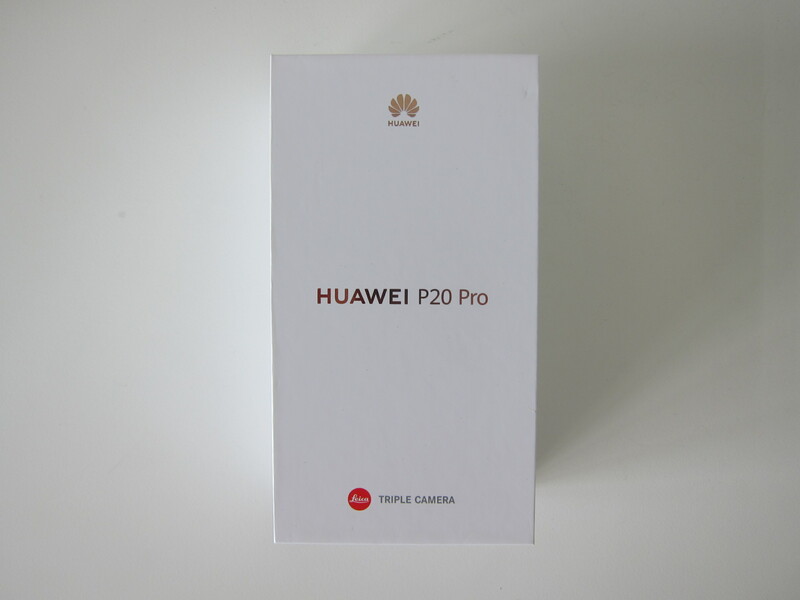 Stay tuned for my full review of the Huawei P20 Pro in a few weeks time! This page is generated on 20th April 2019, 14:47:36 (UTC) in 0.323s with 20 queries using 2.0 MiB of memory.